For this module we have to come up with two different projects that play to our strengths as well a making a Personal Development plan (eugh!) This is my first project idea and it's developing quite nicely. I won't say too much about my second project as it's been a bit of a disaster so far and I've had to come up with another idea so it's still in it's early stages. Anyway, back to this project. 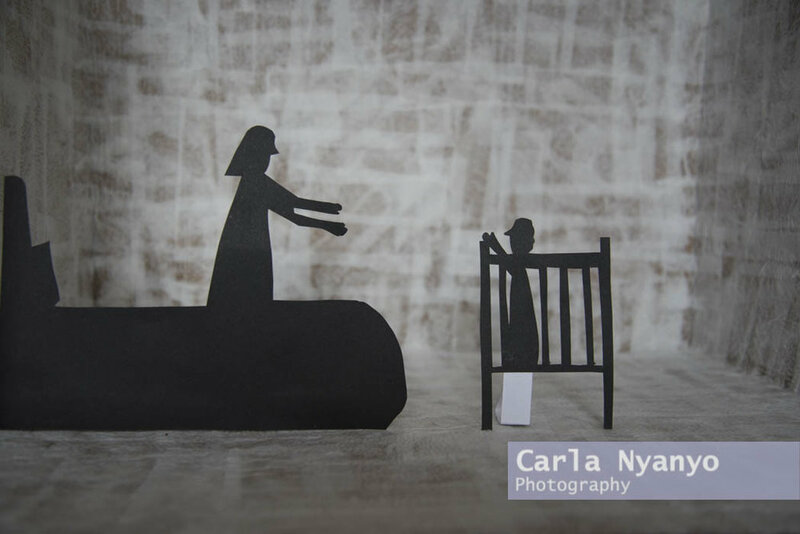 I have been inspired by silhouettes and shadow theatre as a traditional way of telling stories to make a piece about my Nanna. As I'm sure you can imagine it was an extremely sad time for my whole family when she passed away and so it's been so nice to be able to think back and remember some of the things we did together and incorporate them into my photographic practice.